Greg and Adele Jolliffe owners of Illovo Nursery since 1980. 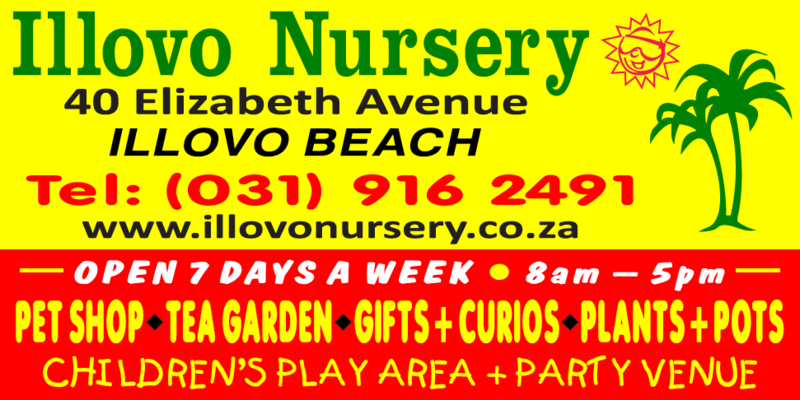 Illovo Nursery is a family business. We are stockists of a large selection of indoor plants and outdoor shrubs, trees and ground covers. Visit our nursery and meander through our lush tropical gardens. We are stockists of a variety of trees (including fruit trees), shrubs, groundcovers, palms, seedlings, herbs and indigenous plants and pride ourselves on our good quality and low prices! We also have a variety of gardening products including compost, potting soil, fertilisers, insectisides, waterfeature pumps, tools, accessories and a large range of Irrigation products. We also stock a variety of plastic, concrete and fibrecrete pots and we have a large paving section. Look out for our exciting monthly specials. We have a team of helpful staff ready to serve you and answer any query you may have. Our Terrace Tea Garden serves delicious breakfasts, light lunches and is also licensed.